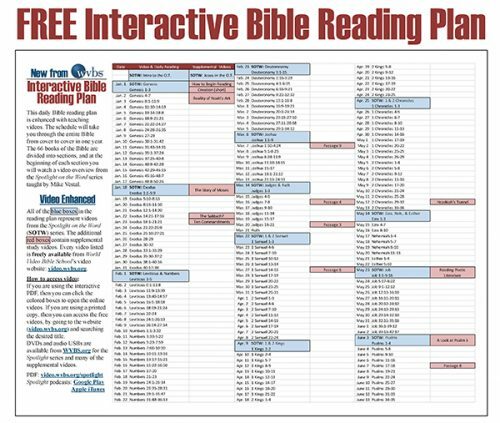 All through the pages of the New Testament, the Bible writers give accounts of Christ receiving sinful people and making them spiritually whole. In order for a person to complete in Christ, we must receive Him. How does a person do this? Join Neal Pollard as he takes an in depth look at this topic and gives a sound, Bible-based answer on how a person can receive Christ. Do our lives reflect Christ through a vibrant, productive faith? In writing to the church in Colosse, Paul discussed ways they could be sure to reflect Christ. 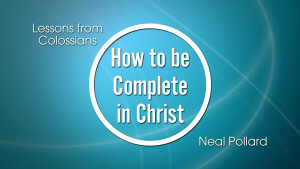 In this lesson, Neal Pollard looks at Paul’s teachings and presents ways we can reflect Christ in our daily Christian walks and become complete in Christ. To be complete in Christ, necessitates that we know Him. However, this is not just knowledge, but true knowledge based on experience. If we know what Christ wants and what Christ wills, we have our best insight into who He really is. Join Neal Pollard as he expounds on how we can better know Christ and gain a stronger relationship with Him. To be complete in Christ, a person must acknowledge Christ. By doing this, they are willingly placing their lives under full submission to Him and will act in full obedience to God’s laws. 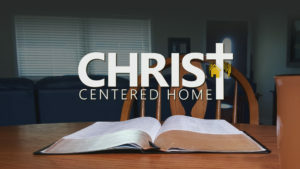 In this lesson, Neal Pollard looks at divinely inspired words that Paul penned in Colossians and discusses how we can fully acknowledge Christ in our lives. Teaching and preaching the gospel is one of the most important tasks a person can do. However, preaching the word of God should not be limited to one central person at a congregation, since God has made us all proclaimers of the good news. In this lesson, Neal Pollard gives encouragement to every person to become a proclaimer of Christ. Most times, death is not a happy subject to think about. However, when Paul pens his letter to the Colossians, he speaks of dying with Christ as a desirable thing. When one dies with Christ, all of the worldly things are put away. In this lesson, Neal Pollard looks at Paul’s encouraging words to the church in Colosse and gives application of how we can apply it in our lives today. At the start of the new year, many people set resolutions… and often times those resolutions don’t last very long. Whether it be physical or spiritual, lack of direction and self-discipline and direction can sabotage the journey. When we’re reminded who we are as Christians, we can build our resolve and work towards success, namely heaven. Join Neal Pollard as he discusses Paul’s encouraging words and exhortations to the early Christians and how we can use these principles to grow in our own spiritual walks. As Christians every thought, word, or deed, should show that we are living a new life in Christ. We should imitate Christ’s example in all that we do. 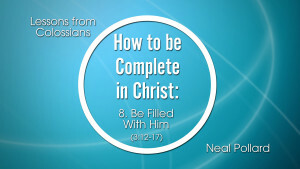 Join Neal Pollard as he encourages us to examine every aspect of our life to ensure that we are living Christ’s example by being filled with Him. We all have distinct roles in our lives, whether is be wife, husband, employee, child. In Colossians 3 and 4, Paul gives specific instructions on how Christians should act in many of these areas. During this lesson, Neal Pollard delves into these chapters and takes an in-depth look at what the Bible has to say on how Christians can please God through the various roles we live. John Donne famously said, “No man is an island.” As we go about our daily lives, we must take opportunities to interact with others and share the good news of the Gospel. Join Neal Pollard in this lesson as he explains that to complete in Christ, we must be willing to share Him with others. Jesus taught that greatness comes in service. In last last chapter of Colossians, Paul speaks of some of disciples that have imitated Jesus’ teaching in regard to service. In this concluding lesson, Neal Pollard expounds on this topic on how we can serve God by serving others through humility and love.